Early reports had suggested that De Jong would be out for four months and the club confirmed the injury is as bad as first feared. Having arrived from Ajax in the summer, De Jong would have been looking to make an immediate impact at the club, however the thigh injury is a real blow for the club. 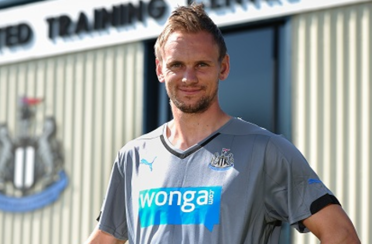 “Siem de Jong sustained an injury to his right thigh in training earlier this week and is to be assessed further at the start of next week,” a club statement read. In addition to De Jong, Newcastle signed Remy Cabella, Daryl Janmaat, Emmanuel Riviere, Ayoze Perez, Jack Colback and Jamaal Lascelles this summer. Pressure is on Newcastle manager Alan Pardew, with the club yet to win a Premier League game, after Crystal Palace scored a last minute equaliser in their last league match.